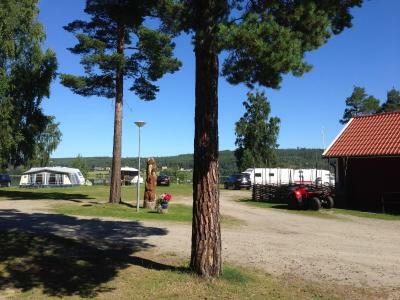 Lock in a great price for Ljusdals Camping – rated 8.9 by recent guests! 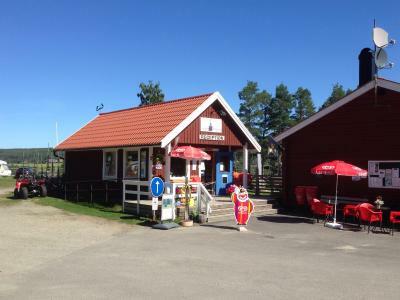 This was just a stopover for us on our way from Trondheim to Stockholm but became one of the highlights of the trip. A lovely spot. Sunset over the lake stunning from the cottage window and from the beach below. Very well furnished and decorated, excellent kitchen. 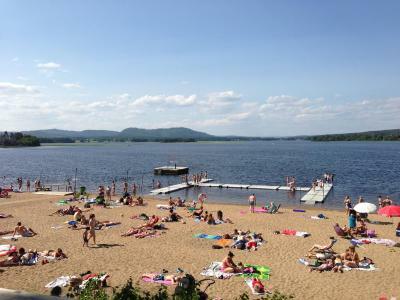 Looks like a great swimming spot too. We stayed in a nearly new cabin with all equipment we needed. Beautiful view. Very nice personal! Enjoyable view on the lake. Cosy! It is possible to book sauna! Really nice size house with everything that you need. Lake on one side and woods on the other all within a 1-2 minute walk. Very friendly and helfpull owners. Would highly recommend to anyone. Jätte fin och fräsh stuga, finns allt man behöver. Fantastiskt utsikt! 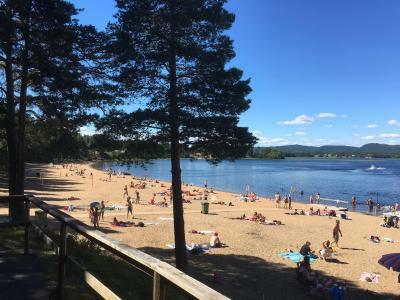 Sköna sängar. 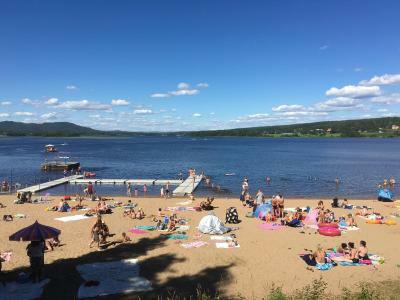 Bra läge med utsikt över vattnet. 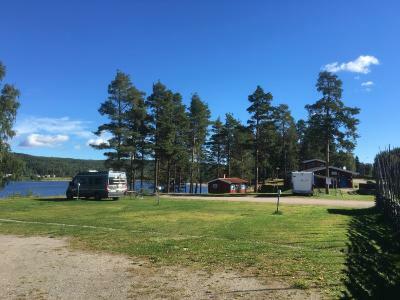 Verkar vara en gemytlig camping med flera återbesökare o långliggare. Nybakt bröd till frukost finns att beställa! 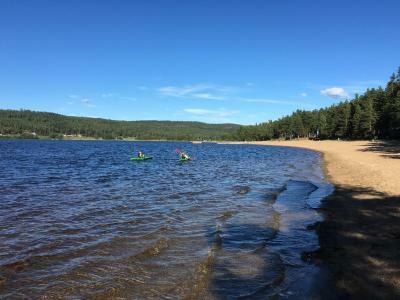 Lugnt, naturskönt, nära till strand, fanns kanoter att hyra. Der Empfang war sehr freundlich, hat uns gute Tipps gegeben und auch früher einchecken lassen. Herzlichen Dank! Ebenfalls war die Aussicht auf den See von unserer Stuga (bestens ausgestattet) herrlich am Abend. Dazu muss der Eigentümer dieser Stugas ein guter Handwerker sein. Alles war gut verarbeitet, gute Qualitätsarbeit (wird von Genossen immer geschätzt :-)). 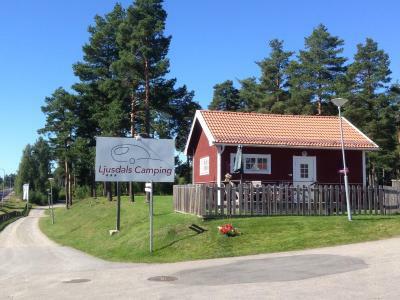 Located in Ljusdal, Ljusdals Camping offers accommodations with a patio and free WiFi. 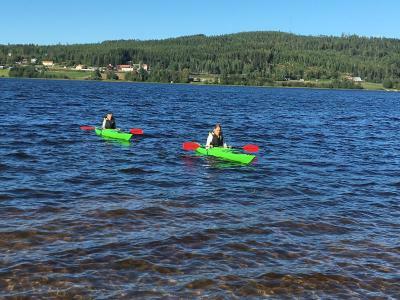 A playground is available on site and cycling can be enjoyed within close proximity of Ljusdals Camping. 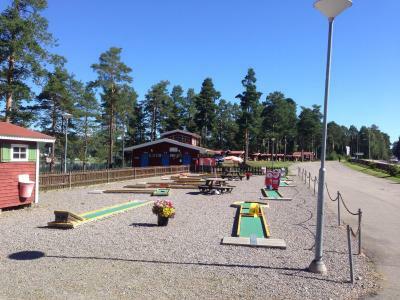 The nearest airport is Sveg Airport, 68 miles from the property. 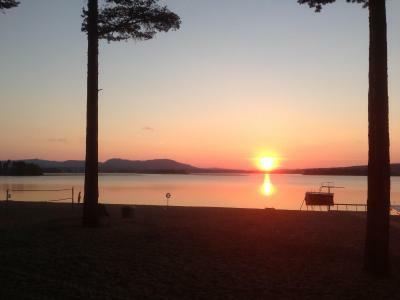 When would you like to stay at Ljusdals Camping? This chalet has a fully equipped kitchen, featuring kitchenware and a microwave. Guests can enjoy the terrace and outdoor furniture. This chalet features a microwave, dining area and stovetop. House Rules Ljusdals Camping takes special requests – add in the next step! Ljusdals Camping accepts these cards and reserves the right to temporarily hold an amount prior to arrival. Some noise from the traffic, although not extreme.